Many of Yuba's early citizens objected to the use of the St. Charles Hotel, "a flimsy frame building with canvas partitions," as the county courthouse. Accordingly, they selected this sturdy design, modeled after the insignia of the U.S. Army Corps of Engineers, as the county's first true courthouse. The building in Marysville served the county for 107 years until 1962, when the courts moved to a more modern facility. 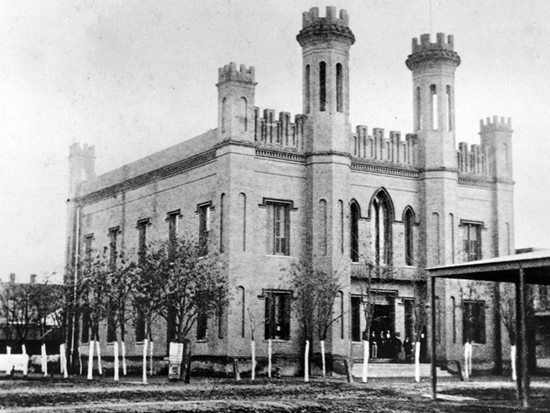 The old courthouse was razed the following year.